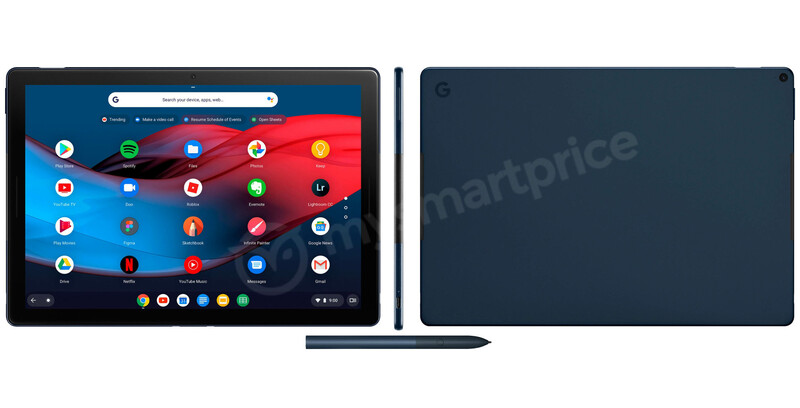 As if Google wasn’t having a tough enough weekend, details about the Pixel Slate have leaked too. Devices under the codename ‘Nocturne’ — long associated with the Pixel Slate — have popped up on Geekbench. In total, four different benchmarks appeared, with four different chipsets. This likely means we’ll see many Pixelbooks at Google’s upcoming hardware event. One of the Pixel Slate devices sports an Intel Celeron 3965Y. The processor is clocked at 1.5 GHz and has two cores. Another uses the Intel Core m3-8100Y clocked at 3.4 GHz. The last two use Intel Core chips, one being the i5-8200Y with two cores at 3.9 GHz and the other being an i7-8500Y at 4.2 GHz with two cores. The Celeron and m3 models also list 8GB of RAM, while the i5 and i7 models had 16GB of RAM. Additionally, the Geekbench records show testing on each chip used 64-bit Android. This means that we’re looking at a Chromebook capable of running Android apps, not a device running Android. Because the first form factor that comes to mind when you hear “slate” is traditional laptop, right? However, not all are convinced the leaks show the Pixel Slate. Evan Blass, who frequently leaks upcoming devices on Twitter, indicated the Pixel Slate would not be a traditional laptop. Regardless, considering the power of the Nocturne devices and that they’ll be able to run Windows 10, they should prove popular in any form factor. We’ll see if Blass is right about the Slate at Google’s event on October 9th. Update 10/06/18: It looks like Blass may have been right. Pictures of the Pixel Slate have leaked, revealing a more tablet-like device. Furthermore, the pictures show off a new keyboard cover accessory. 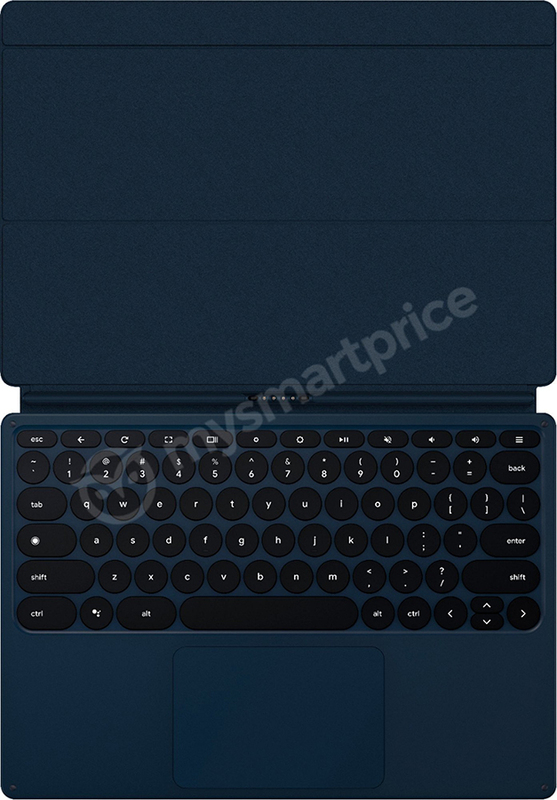 The Pixel Slate leak shows a tablet device in a dark blue colour with decent bezels around the screen. You can also see the cutout for the fingerprint sensor and the volume keys on the sides. There is also a USB-C port on the side. The back of the device features a subtle ‘G’ logo in the top left corner. The keyboard case is particularly interesting, with circular keys. Additionally, the keyboard sports an Assistant key and a “hamburger” button at the top right. Update – 10/08/18: Reputable and reliable device leaker Evan Blass has shared yet another picture of the Pixel Slate with a keyboard.